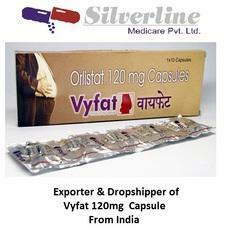 Providing you the best range of vyfat 120mg capsules, orlistat 120mg capsules, weight loss capsule, vyfat 120mg capsule, vyfat 120mg capsule and orlistat capsule with effective & timely delivery. Fostered with a team of experts, we are engaged in offering highly effective range of Vyfat 120mg Capsules. The capsule provided by us is commonly used to treat patients who are dangerously overweight or at risk for serious health conditions such as hypertension, high cholesterol, heart disease, or diabetes. 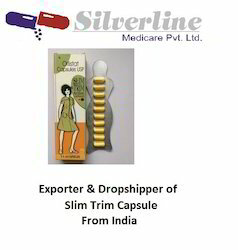 Offered capsule can be availed in bulk quantity at reasonable price within a stipulated time frame. This capsule is prescribed to help patients lose weight by reducing fat absorption into the body. 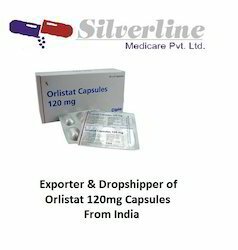 ORLIGAL (orlistat) is a gastrointestinal lipase inhibitor for obesitymanagement that acts by inhibiting the absorption of dietary fats. Orlistat is (S)-2-formylamino-4-methyl-pentanoic acid (S)-1-[[(2S, 3S)-3-hexyl-4-oxo-2-oxetanyl] methyl]- dodecyl ester. Its empirical formula is C29H53NO5, and its molecular weight is 495.7. It is a single diastereomeric molecule that contains four chiral centers, with a negative optical rotation in ethanol at 529 nm. Orlistat is a white to off-white crystalline powder. Orlistat is practically insoluble in water, freely soluble in chloroform, and very soluble in methanol and ethanol. Orlistat has no pKa within the physiological pH range. 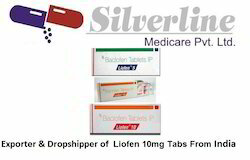 Each capsule contains a pellet formulation consisting of 120 mg of the active ingredient, orlistat, as well as the inactive ingredients microcrystalline cellulose, sodium starch glycolate, sodium lauryl sulfate, povidone, and talc. The dark blue capsule shell contains gelatin, titanium dioxide, and FD&C Blue No. 1, with printing of pharmaceutical glazeNF, titanium dioxide, and FD&C Blue No. 1 aluminum lake. The turquoise capsule shell contains gelatin, titanium dioxide, and FD&C Blue No. 2 with black printing ink containing pharmaceutical grade shellac, dehydrated alcohol, isopropyl alcohol, butyl alcohol, propylene glycol, strong ammonium solution, potassium hydroxide and black iron oxide. Obsessed with losing weight? Tell me who isn’t! Every second person would tell you they want to change their body.Losing weight isn’t impossible, as many people think it is. It does take a lot of dedication and a little bit of hard work. Well, actually it takes immense dedication and a whole lot of hard work. However, here is a secret diet plan to slim down your body and cut down your weight in just 7 days! This is the best vegetarian diet to lose weight. Are you wondering why this diet is any different? When you have tried almost everything possible in the world and haven’t got the best results. This vegetarian diet to lose weight will help you lose weight very quickly. It is also called as the GM Diet plan. The Vegetarian diet plan for weight loss is not just to lose weight, but it is also a maintenance method for a slim and proportionate body. Along with these, it will help you practiceeating vegetables and fruits which will help to boost up the metabolic rate. Vegetarian diets and weight loss go hand it hand. It is the healthiest and the fastest way to shed pounds. This vegetarian diet program has become famous around the world. Every one is addicted to it, it actually works! Vyfat containing the active ingredient orlistat is considered a lipase inhibitor type of medication. It works by preventing some of the fat in foods consumed from being absorbed in the intestines and allowing the unabsorbed fat to be removed from the body in the stool. The medication should be used along with a low fat, low calorie diet, a proper exercise program and behavior modification program to help people lose weight. Losing weight and preventing from regaining the lost weight can help reduce the risk of many issues obesity causes such as heart diseases, diabetes, hypertension and certain forms of cancer. Vyfat is not always suitable for all patients. Always consult your health care provider prior to using this medication if you are pregnant, breastfeeding, trying to conceive, using any other medication (prescription or non-prescription), using any herbal products or supplements, or if you have any allergies or other health problems. Vyfat is usually taken orally up to 3 times per day or as directed by a doctor. It should be taken with or within 1 hour of any main meal that contains fat. If you skip a meal or eat a meal that does not contain any fat, skip the dose for that meal. 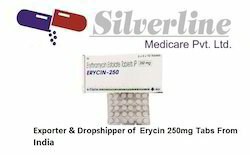 Contact a doctor for the correct dosage as it will depend on the patients condition and their response to the therapy. This medication is used with a doctor-approved exercise, behavior change, and reduced-calorie diet program to help you lose weight. It is used by certain overweightpeople, such as those who are obese or have weight-related medical problems. Taking orlistat can also help keep you from gaining back weight you have lost. Losing weight and keeping it off can lessen the many health risks that come with obesity, including heart disease, diabetes, high blood pressure, and a shorter life. 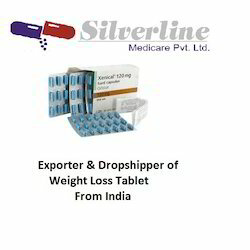 Avail from us a wide range of Weight Loss Tablet, as we are processing these tablets in bulk to our valued clients. 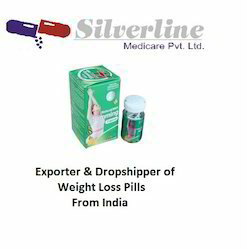 The offered weight loss pills reduce appetite, block fat absorption. 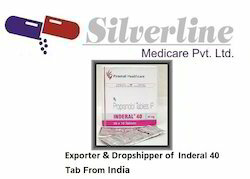 All these tablets are offered in highly safe and hygienic packing with delivery on time. 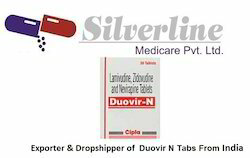 The dosage is prescribed on the packing of the tablets with the expiry date. These tablets are highly effective for recovering various bacterial infections. Trim Slim is a weight loss program developed by ViSalus, a company with the motto “Life, Health, Prosperity.” The primary goal of this diet/weight reduction plan is to assist men and women with achieving a “healthier lifestyle.” This Trim Slim program involves three different supplements, which are the Vi-Shape pills, the Vi-Slim tablets and the Vi-Trim drinks. Trim Slim is claimed to increase energy levels, boost the user’s metabolism, suppress appetite and lower stress. This weight loss system is also known as the ViSalus Trim Slim Shape Program and sells for $150 through the official website. Each of the three supplements involved with Trim Slim offer key ingredients. With the Vi-Shape pill, these are Soy Protein (supports lean muscle) and Fibersol (provides user with fiber), in the Vi-Slim tablets, these are Green Tea Extract (assists the metabolism), Yerba Mate (boosts metabolic rates) and Coleus Forskohli, and in the Vi-Trim drink, these are Chromium (suppresses appetite), Carnitine and Garcinia Cambogia (curbs hunger). Trim Slim supplements are stated to be free of GMOs. Real testimonials are not offered to support the Trim Slim program. In addition to assisting with weight loss, the Trim Slim supplements offer antioxidants, vitamins and minerals for daily maintenance and well-being. No fitness programs are mentioned on the official website. 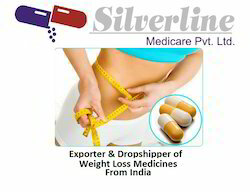 We are the Leading suppliers of Weight Loss Medicines. 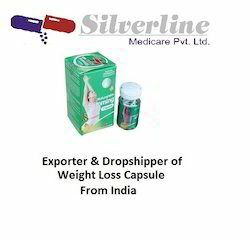 We also do Drop Shipping of Weight Loss Medicines. 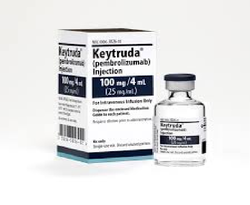 Keytruda (pembrolizumab) is a cancer medicine that interferes with the growth and spread of cancer cells in the body. Keytruda is used to treat advanced skin cancer(melanoma) that has spread to other parts of the body or cannot be surgically removed. Looking for Slim Products ?